Massive Nor'easter bigger than Hurricane Sandy expected to bring winds, snow, cold blast to Northeast for late March | Watts Up With That? UPDATE: 114 mph wind gusts reported. See below. 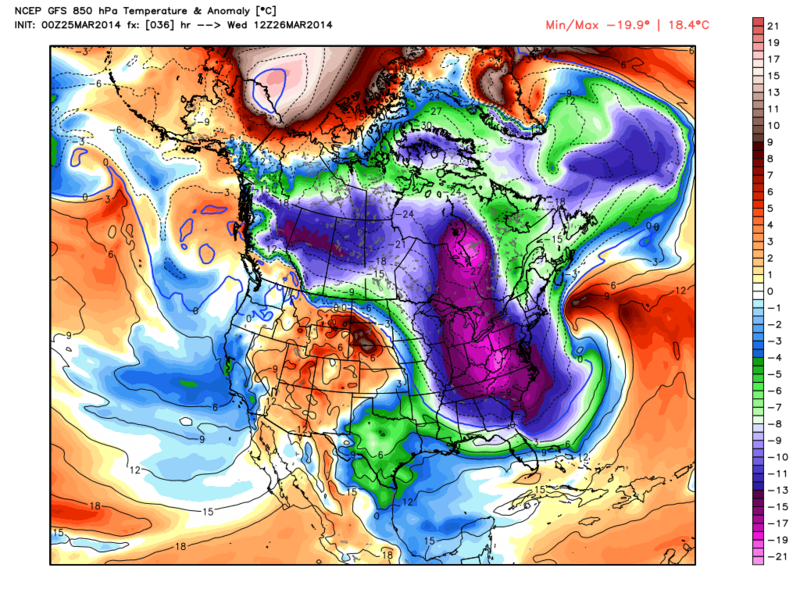 March came in like a lion, and it looks like the lion isn’t leaving, but you can’t blame the “polar vortex” this time. Massive Nor’easter will develop a warm-core thru a seclusion process. 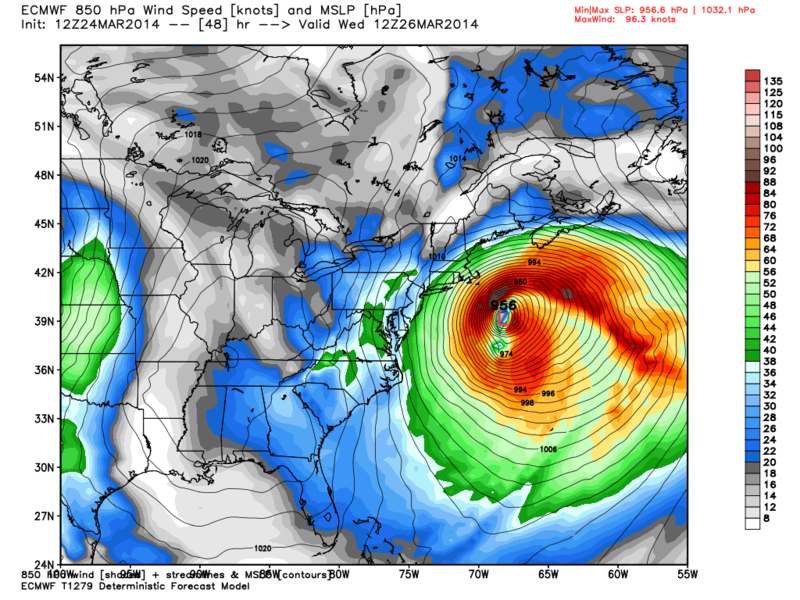 Compare previous image w/Hurricane Sandy– same 850-mb Wind speed & MSLP. Nor’easter wind field much stronger/larger. [It is] maybe 4 times more powerful than Sandy based on integrated KE of wind field. The image of the storm is quite stunning for it’s sheer size. Images and animation follow. Watch this animation of the storm as it is forecast to develop, click it to get it to animate full size. The biggest difference here is the track, Sandy made landfall in NYC, this nor’easter is not expected to there, but will skirt the coast and will make landfall later in Newfoundland, But, it will have a significant effect on the northeast USA due to its ability to transport air mass. The National Weather Service in Boston is preparing for blizzard like conditions in some areas, plus hurricane force winds at sea. 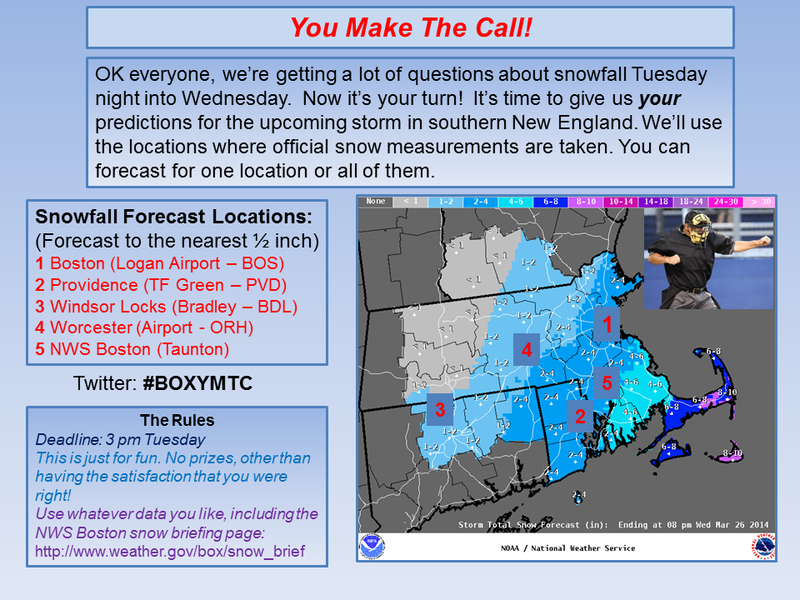 They are even asking readers to “make the call” on snow amounts. March 25, 2014 in Climate News. In like a lion, out like a lion pack…. Jo Nova found a good video of what its like in Canada thsi winter, and for good measure, the skit takes a shot at Environment Canada, who has a forecast record that equals that of the Met Office. But oh lord, spring is taking its sweet time arriving this year…. This WILL be blamed on global warming! Well I wouldn’t worry about it. On Average, tropical storm Sandy, really didn’t do much damage, unless you cherry pick data from when it was near the USA. The rest of its life, it just made some waves out in the ocean. So this new mega-nor-easter, will do about the same (on average) so it will be another much ado about nothing. P = dE / dt can be a whole lot higher, than the average E/t for the complete life cycle of the event. But MikeB won’t understand why that is. March came in like a lion and is leaving like a polar bear. What I like most about those pictures are the nice, clear, warm skies over Texas. 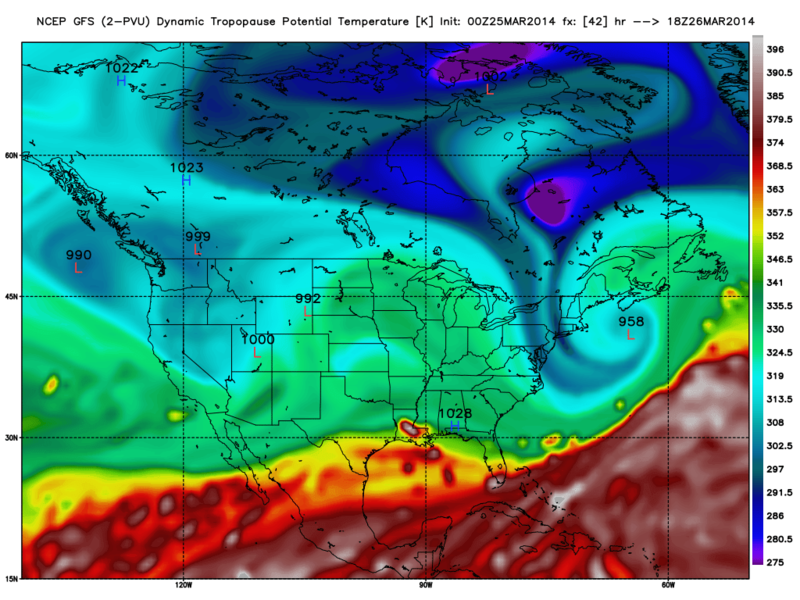 Tropopause fold and baroclinic wrapup…. Can’t wait to try that on the wifey later on! Polar vortex at 17 km. Les – maybe a lion pride? I hope the snow n ice, plus melts, do not do in the East what they did last weekend in the west – a dozen dead, more missing from a BIG landslide. Pray this system stays to the east and does not track further west. 1816 again? Year without a summer? note that the isobars are in 4mb decriments, not 3 as the one above. What is not even comparable is the fact that the westward portion of the sandy storm maintained its cyclonic gradient instead of being fed from the northwest as this current storm will be. This effectively doubles the area of the windfield and quadruples the energy associated with the storm, so, no sandy was still more energetic. For comparison, look at how lake Michigan waves react to this storm (it will be minimal) compared to sandy (30 foot waves on the Chicago waterfront). The UK’s weather will become both too wet and too dry – and also too cold and too hot – as climate change increases the frequency of extreme events, the Met Office has warned in a new report. Those within the Enviromental/Indistrial Complex will go wild with this weather event calling it more evidence of global warming (climate change). Could someone with historically accurate data post other Nor’easter events equal to or greater than this one so we can have some ammunition to reply to their hype? There, you doubters – it was worth buying the Met Office that fancy computer after all! Here in NH, temps have been running about 15-20 deg.F below the average lately, and this March may go in the record books as the coldest. Looking ahead though, there is a slight warming trend coming later in the week up to a “minus 2” over the weekend, and – gasp- a whopping “plus 3” next Monday before sliding back down again. Other than CA, this is the heart of climate change religious fanatics. Another good dose of reality is in order there. Let them grasp at frozen straws to explain it. Heavy snow and widespread blowing snow on Wednesday. This is a warning that blizzard conditions with near-zero visibilities are expected in these regions. Monitor weather conditions..listen for updated statements. A low pressure system developing off the U.S. seaboard today is forecast to intensify rapidly as it tracks toward the Maritimes tonight and Wednesday. The storm is expected to track near Cape Breton Island late Wednesday evening before moving on to Newfoundland on Thursday. Snow is forecast to begin overnight in Southwestern Nova Scotia and spread to the remainder of the province Wednesday morning. The snow is expected to change to rain late in the day along the Atlantic coast as well as over the eastern half of the mainland and Cape Breton. Elsewhere the snow is expected to taper off Wednesday night. Strong northeast winds will develop during the day Wednesday and gusts up to 100 km/h are possible later Wednesday afternoon and evening. These very strong winds combined with heavy snow will cause widespread whiteout conditions in blowing snow. In general between 25 to 40 centimetres of snow can be expected with this system over most of Nova Scotia. However, some areas over Western and Northern Nova Scotia could locally see in excess of 50 centimetres, and given the extensive blowing and drifting snow there could be significant variability in snow amounts received within any forecast region. Additionally on Wednesday afternoon and evening higher than normal water levels combined with rapidly rising wave activity may produce local flooding along much of the Atlantic coast of Mainland Nova Scotia during the high tide late Wednesday afternoon. These high water levels combined with the heavy pounding surf could give rise to some coastal erosion in some areas. In the Northumberland Strait water levels will also rise Wednesday evening but may not reach warning levels. However warnings may have to be extended to these areas tonight. Les Suetes winds gusting up to 160 km/h are expected to develop late Wednesday afternoon and diminish Wednesday evening. Stop Global Nor’easter Warming, ban ManBearPig from Boston to Province areas. Wws, those skys look kind of green on the map. Is it raining frogs ouside your window? So I guess the weather channel will name this one Danny. as in Zuko…. I thought this site was about climate. All they do here is talk about the weather. It appears that the eastern USA is repeating the events of 1977. I just happened to come across this paper http://journals.ametsoc.org/doi/pdf/10.1175/1520-0493%281978%29106%3C0279%3AMCOTNA%3E2.0.CO%3B2 that describes extreme cold in the East and drought in the NW USA. Back then it was blamed mainly on El Nino and extremely cold SSTs. What is the reason this time around? I know this is small comfort to those about to hammered by this latest manifestation of “Global Warming” but I have pictures of my family in 1970 in our Easter outfits standing in about 2 to 3 inches of snow. This was in Northern Kentucky. Somebody at the Guardian clearly screwed up. That article wasn’t supposed to be released until NEXT Tuesday. That’s because the problem is those who claim to be able to do something about it. More like a polar bear this year. And that polar bear isn’t in a hurry to go anywhere. I live in SE Wisconsin. I woke up this morning to a temp of 23 degrees F and a fresh layer of snow. Sandy was not a hurricane. Maximum sustained wind speeds were never over 25 meters per second. Several offshore buoys showed about the same data points. Recorded speeds at land stations were about 20 meters per second at most. Wind damage was consistent with tropical storm. Here is a chart of the wind speeds at one of the offshore buoys where the highest winds speeds were recorded. Buoys outside NY harbor and Long Island show about the same speeds. The hurricane threshold is sustained speeds of 33 meters per second. rather than decline hiding Manns, conspiracy ideationist Lews, and heat hiding Trenberths. Ever wonder what the Poor Farmer’s Almanac would have thought about CAGW? Poor Richard knew there were plenty of weather calamities, but that adaptation (a stitch in time saves nine), prudence (a penny saved is a penny earned), and a bit of perseverance (spring reliably follows winter) served well. They still do. I’d say now is a good time to take that Tesla out for a spin on the East Coast. Let’s see what it’s made outta’. Can you hear the calls for world communism howling in the distance? …. For comparison, look at how lake Michigan waves react to this storm (it will be minimal) compared to sandy (30 foot waves on the Chicago waterfront). 30 foot waves on the waterfront? Chicago would be flooded … YOU MUST MEAN 30 foot breakers (a ‘wave’ impacting a breakwater or shallow ‘draft’ water yields brief heights of perhaps near 30 feet). Looks like Jolly Ol’ Al Gore is up to his tricks again. If ya can’t win one way, well, you just gotta do it another way. I’m old enough to remember this, back in the good ol’ days of CAGC. Sandy had similar characteristics while it was blowing through the tropics. But as the storm moved northward, it merged with a weather system arriving from the west and started transitioning into an extra-tropical cyclone. We had some watches up around western Lake Ontario. It was a breeze. What? That cannot be. There’s more CO2 now. If the anti-Keystone Clowns are still tied to the WH fence, then PLEASE, PLEASE unleash the storm’s fury on DC. Preferably 3 ft of snow, -25F temps and gale force winds. They’d just spin it faster than “snow devil”. “if you ever want to be warm again we must stop Global Warming NOW!”. supposed to be 50mph winds and about 8-10 IN of snow tomorrow here in Maine. its just another spring storm to me. Looks like it’s tracking East of the earlier European model forecast. We’ll just get a few windblown inches here in Boston. 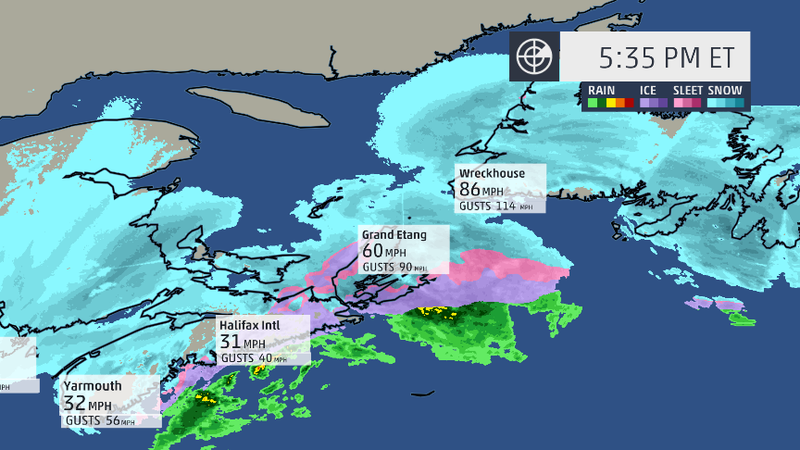 Antigonish, NS, sorry, you’re toast! Please try to dig out before the Highland Games, so the caber doesn’t get stuck in the snow. Here is a reference to a Nor’easter that if it hit today would have done more damage than Sandy because of costal build up over the years. As it was it still caused very wide spread damage and loss of life. 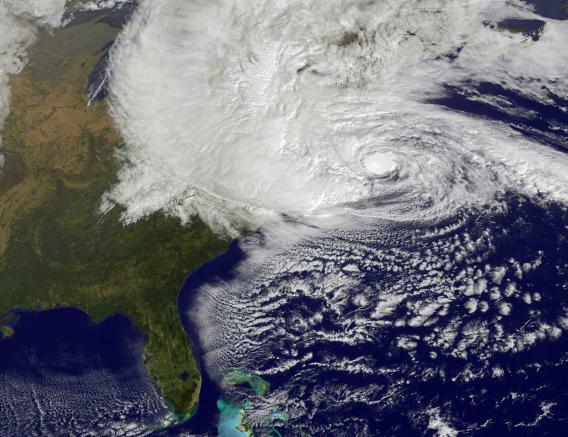 I have never seen it mentioned alongside Sandy although it hit some of the same area like Long Beach Island N.J. Selective memory? Thanks Dr. Maue. Good forecast of bad news. Jim, at 0:43 in your reference the surfer is standing and from my point of view as an old surfer, those are 4 to 5 foot wind-driven waves breaking on a shallow sandy beach. Along the west coast of the island potentially damaging winds are expected to gust to 160 km/hour in exposed locations and 180 km/hour in the Wreckhouse area. That will be pretty tough to look at since most of Lake Michigan is frozen. It’s called climate change not weather change. These long winters and late springs are becoming a pattern, that’s what people are afraid of. Saying that one time 20 years ago there was a blizzard in April doesn’t mean anything. Are we done with winter yet? Are we done with winter yet? Are we done with winter yet? Are we done with winter yet? Are we done with winter yet? Are we done with winter yet? Are we done with winter yet? Are we done with winter yet? Are we done with winter yet? Are we done with winter yet? Forecasters in the latter city already are warning of coastal flooding from what could be 33-foot waves off the city and wind gusts near 60 mph. Such high winds also are expected to buffet cities both along the Lake Michigan shoreline and inland, though waves will not likely be as high as 33 feet. Still, waves could build to 20 or more feet off Benton Harbor, Mich., and still reach up to 13 feet from Holland north, forecasters said. Winds along that stretch could hit 46 mph or more overnight into Tuesday. 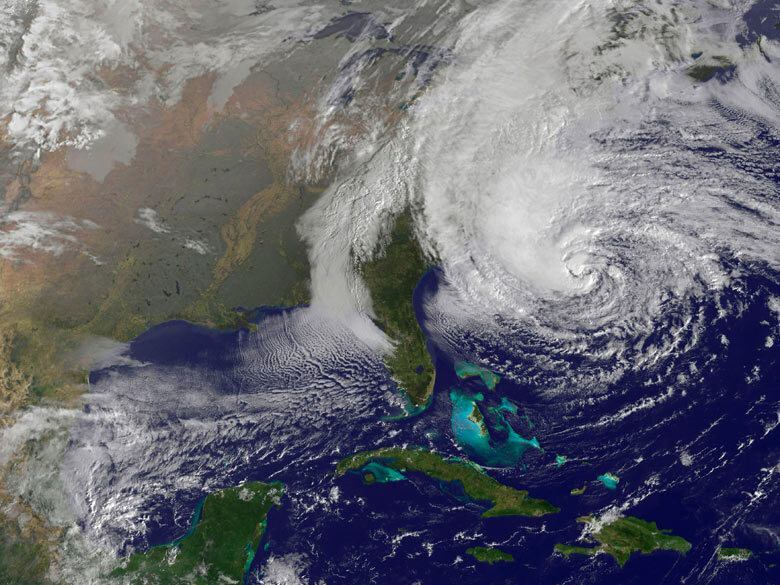 “Sandy will move over the coast, over the mid-Atlantic states this evening or tonight,” Marino said. will this low pressure make it across the North Atlantic to clobber the UK and N Europe? It’s “only” the polar vortex. The current temperature in the area of the polar vortex. Thanks , they got it spot on, (NOT) and as usual a great CYA ! I wonder how long (or short) these people went to universities and/or what curriculum they took to make those statements! I am getting more sure they went to a Internet $10 dollar certificate hand-out, although that even amazes me. (That fact they had the wherewithal and the attention span to even manage that! This bad boy has formed according to forecasts. Check out the current wind map. Impressive! Wow CNC, that Ash Wednesday storm sounds unbelievable. How does it actually compare to sandy I wonder in terms of conditions on-shore? Wasn’t sandy an extra tropical when it made landfall. And wasn’t it bloomberg’s incompetence that made it worse.? Good ole Jai. You can rely on the warmies to make themselves look stupid. How far behind normal, will Canada’s agriculture be this year? Can it recover, and grow a decent crop if the summer is good? so, yeah, not comparable really. REPLY: I know it is very important to you to think the overhyped storm Sandy was more powerful so that it assuages your belief system about CAGW, but your comparison of these two maps is invalid. Sandy made landfall on October 29th as depicted on the .FM map. The Nor’easter has not. So of course the windfields will look different since the center of the wind field is out to sea for the Nor’easter. I’m not impressed with your pleading, and I doubt anyone else is either. Lets Blame it on Russia…. Note the dateline, 20 May 2010. 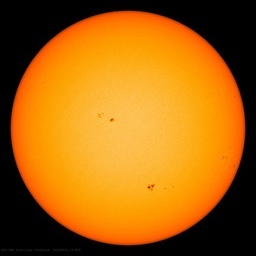 20 May 10 – CHICAGO – Habibullo Abdussamatov, head of space research at Pulkovo Astronomical Observatory in St. Petersburg, Russia, predicts that a new “Little Ice Age” could begin in just four years. so, yes again, the eastern portion of Sandy was twice as strong as this nor’easter and stretched considerably longer. This is because Sandy was an extropical cyclone while this storm is a classic no’reaster. This single statement will soon become the historical proof of your entire movement’s folly. 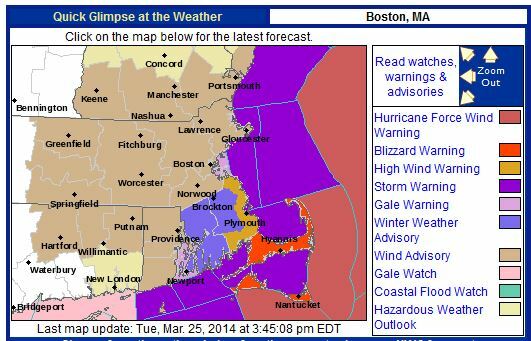 Saying that there was a late March Blizzard in 2014 doesn’t amount to Klimate Change. The only “pattern” is one >with< fairly regular, if widely-spaced, OUTLIERS. You didn't think much before you fired that one off, did you? Hey, Jai! Currently 28 degrees F in Chicago & progressively colder the farther north you go (23 to 17 along the lakeshore). Tell us about the liquid water waves on ice-covered Lake Michigan again, please. “Movement” ? Oh, that is rich! Have you ever considered the Zoo, where, perhaps, the animals think they are on the outside looking in? This site has a lot of information from someone with a Bachelor of Science degree in Meteorology and Oceanography. Go to site map and scroll down to Late Season Storms. In 1980, or 1981 (can’t recall which) we got a devastating Ice Storm 20 miles west of Boston. The date was >>>>>> MAY TENTH! I remember it, vividly – must have been a precursor of Klimate Kooling. Outliers define the boundaries of ‘normal’ & nothing more? So I see there has been recent Lake Michigan ice melt from this earlier extent. I was looking at this live image yesterday on the Michigan side of the lake when I posted. Temps in general have been running well below average in NH all winter. The ice on Lake Winnipesaukee is the thickest it’s been in years, in some places well over a meter thick. The ice cover is complete, from shore to shore, something that rarely happens. Ice Out, the time when one of the cruise boats can make all five ports of call on the lake, is expected to be quite late this year, some time in May. Wanna find out what that Tesla is made of? How ’bout taxpayer subsidies, paid by ordinary folk so that billionaires can get bargain prices on useless toys . . .
Yeah, a handful of fanatics count for more than the national interest. I hope they DO get their asses frozen off. And while we’re at it, let each state pass a law making it illegal for energy opponents to use any . . .
Well, did not know about Wreckhouse before, always enjoy learning about the crazy things a bit of properly placed geography can do when the winds line up right… or wrong, from the point of view of an 18 wheeler having trouble keeping more than half of them on the ground. Do you think Al Gore reads this blog?? .ANZ081…GULF OF MAINE… HURRICANE FORCE TODAY. STORM TONIGHT. .ANZ082…GEORGES BANK… HURRICANE FORCE TODAY INTO TONIGHT.